Community - AOU needs your help! As always we are trying to keep our guides up to date, but we need your help! We are looking for people will full sets of tradeskillable armour to send us screenshots of you wearing your full sets of armour so we can use them in our guides. The image can be an un-edited screenshot. It must show you, standing still with you clearly in shot with just the armour equipped *you can be wearing a weapon too, but no additional tutus or parrots required. If you can help, feel free to either post an image in this thread or send it via PM to Ukblizzard!! 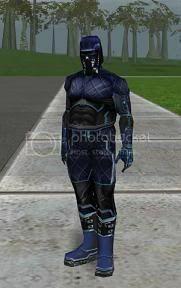 "Model for the ingame picture: Failiure from Atlantean (RK-1)"
Last edited by Leddja on Mon Jul 27, 2009 12:06 pm, edited 1 time in total. Thanks! Now we have managed to fill in the Arithmetic image and the Combined Officers image in the Alien Armour guide with the images given to us from Failiure and Mawerick!! The "Armor Set" picture for combined paramedic's in the AI armor guide appears to be wrong (It looks exactly like combined officer's). We have also just been given a Chosen Engie armour image from Tinkerz on RK1. The T3 guide needs a huge amount of work though so please just look at the nice image and ignore the mess!! Last edited by Amthrax on Tue Jul 28, 2009 3:52 pm, edited 4 times in total. 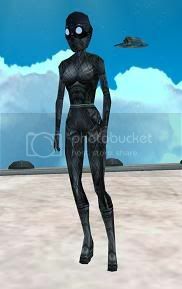 "Model for the ingame picture: Raptoria from Atlantean (RK-1)"
"Model for the ingame picture: Pizza from Atlantean (RK-1)"
Last edited by Vickie on Tue Jul 28, 2009 2:35 pm, edited 2 times in total. Sworn to Avenge. Condemn to hell. 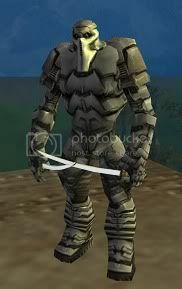 Tempt not the blade, All fear the Sentinels.